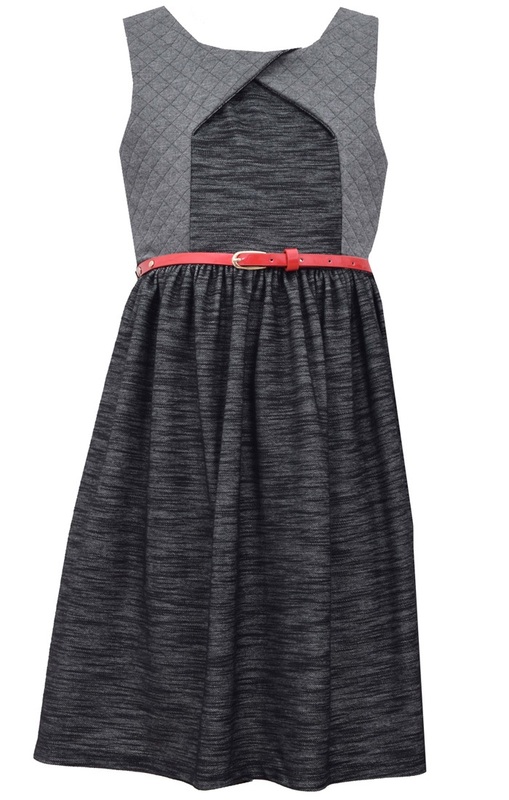 Sleeveless knit black chambray waistline dress with quilt back bodice and shaped front bodice. Comes with thin modern red belt as shown. Content, 60% RAYON / 35% POLYESTER / 5% SPANDEX.